Greetings and welcome to St Patrick’s Catholic School at Asquith. Our school was founded by the Sisters of Mercy. We are proud of our history and heritage and value the strong bond that continues with our founding order. At St Patrick’s children develop a passion for learning through quality teaching and a diverse range of learning experiences. We encourage and foster a love of learning and strive for excellence within a quality learning environment. 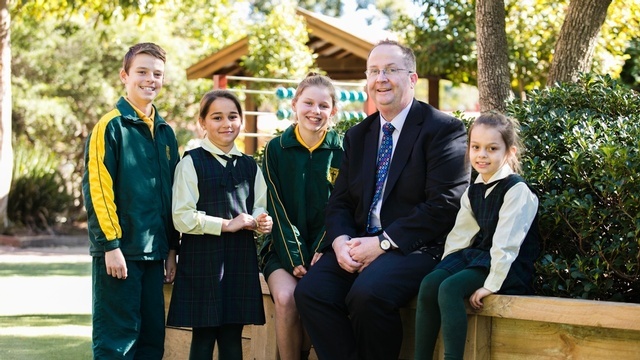 We are the educational arm of the Ku-Ring-Gai Chase Catholic Parish, along with St Bernard’s Catholic Primary School at Berowra. Our Catholicism is expressed through the students, teachers and wider school community living and teaching Gospel Values. We have an extremely talented and professional team of staff members, and a committed parent community. Our school is a fantastic place for children to come and learn, and a rewarding place for teachers to come and teach. It is our collective aim to provide the very best learning opportunities for all of our students. Parents and carers are of vital importance to the success of our school. Our parents and carers are the first educators of their children and their positive support of their child’s school education provides encouragement to their child, their teacher and helps build the spirit of the school. Education is a lifetime journey that you will begin at St Patrick’s Catholic School. We are dedicated to preparing your children for their journey of learning. We welcome your interest and warmly invite you to visit or call for further information.